Sweep away the competition with this convenient, two-in-one snow tool! Designed with a 1/4 inch. thick, heavy duty blade constructed out of polycarbonate. 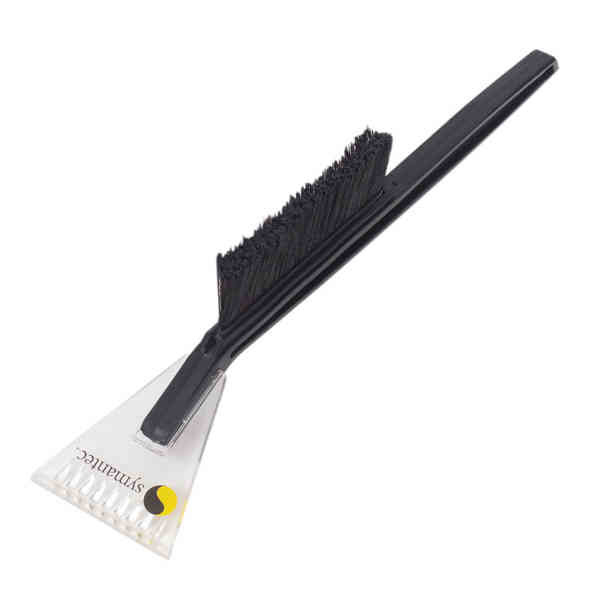 A convenient snow brush runs along the handle for easily removing snow, ice, and other debris. Measures 21 1/2 inch. handle x 4 inch. H x 1/4 inch. thick blade in dimension with a 1 1/8 inch. x 3 inch. imprint area for customizing with your company name and logo. This snow brush is proudly union made in the USA. Size: 21 1/2 " x 4 "
Price Includes:one color imprint on one location. Ship Weight:28 lbs, Please contact us for shipping estimates for orders over 200 pounds.